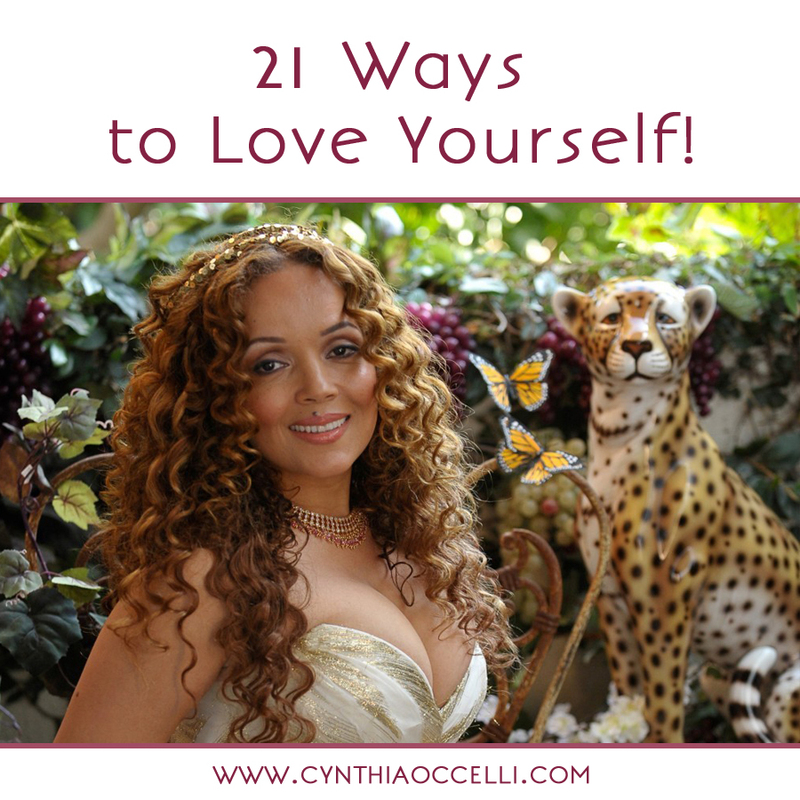 21 Ways to Love Yourself! April marks the start of our Month of Self Love! For the next month, commit to putting yourself first. Be kind, understanding, and forgiving. If you are tired, rest. If you’re sad, ask someone who loves you for support. If you make a mistake, comfort yourself and let it go. When your inner critic tells you that you’ve got it all wrong, thank it for sharing and move on. Behave in ways that demonstrate your self-love. 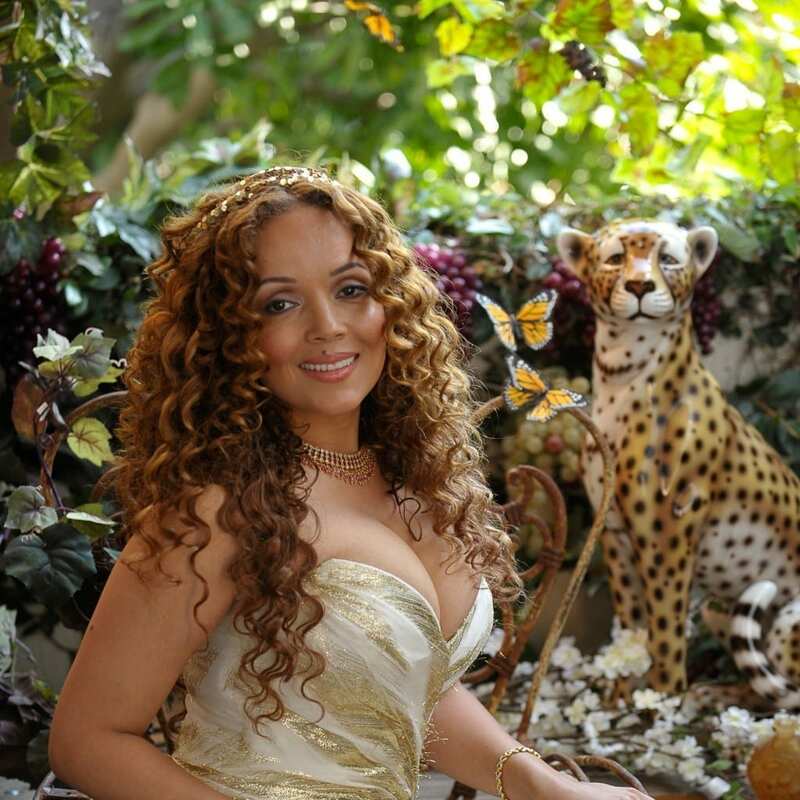 The grace of feminine power ascends through a love-filled heart. You deserve this. If reading this makes you say to yourself, “OMG this is so selfish” you need self-love and extraordinary self-care the most. When my peers and I were struggling to survive, they chastised me for pulling in and putting myself first. The thing is when I took care of me first, I became healthier, more successful, more powerful and those “selfish” acts opened the way for me to give at a level I’d never imagined. I can afford to give more today than I lived on back then. I am also able to help thousands of people around the world live better lives. I couldn’t do that before. Selfish turned out to be the most generous thing I could do. Join us! Leave a comment below and share three ways you can love yourself this month! Also, spread the love! Please share this post. Let’s turn our love renaissance into a revolution! Get a new haircut, buy myself flowers, say no to things I don’t really want to do. Lots of power in saying no and feeling good about it. I hope you get a rockin’ cut. It really can change how you feel. Thank you Cynthia. I am so happy I discovered you on HayHouse. I love your message and your show. Thank you for the work you do. take time look at the stars, notice new growth of spring flowers buds . Yes! Thank you, Melissa. I’m adding this one to my list too. 1,Give up foods that are toxic for me, Tomatoes, Peppers, Chillies ( They hurt my stomach). 2, Avoid the need to rush….. Be more organised and realistic about how long things actually take and only take on what won’t make me late for the daily commitments I have. 3, If my tendency to make others responsible for my wellbeing kicks in, gently remind myself that what I seek I can give to myself, then proceed to give it. 4, Remove harmful technology from my side of the bedroom, ( I have ordered an Alarm Clock so I don’t need to keep the mobile phone in the room). Lisal, I love # 2 and I’m adding it to my list. I also do #4. At night, I make sure I have no phones (I do have 1 corded line), electronics or anything in my room with me. These are all so good. Happy April, Love. 1. Let go of memories that have been haunting me. 2. Donate clothing that I no longer need. 3. Work on my property and clean it up. Thanks. I have been meditating and forgiving myself and others. I too am letting go of memories and forgiving. I understand that journey well. I love that one too! #stolen and shared on FB. 1. I do my early morning writing when it’s quiet. Starra, all of these are wonderful and will create meaningful change in your life. Hugs and love to you. I try and do this once a week. When I’m feeling antsy, it calms me. Thank you for letting me know April is self-love month. My book, The Tao of Turning Fifty is all about self-care…. Fantastic and wise, Love this. Take the time to let your pets love you; allowing the reflection of their love to soak deeply in. Be still. Take time out to do nothing. Listen to music without words. Listen to silence. Go out into nature, and get some fresh air. Take time to work on your breathing. Do things that you like to do (hobbies). Take yourself out on a date. Walk barefoot on the grass…Feel the breeze caress ur skin…Enjoy the morning glow across ur face…in brief Romance with Nature! 🙂 And enjoy the shower with music no rush…see urself wrapped in towel in the mirror …admire and embrace all of you as u look into ur eyes…say out loud/whisper I LOVE U 🙂 And go ahead dance a little too! When I get up in the morning I make coffee, tidy a bit and then set the microwave timer for 15 minutes. I take a cup of coffee and go sit. PERIOD. I look at the out of doors on the deck or out the window. I don’t meditate, I don’t think, I sit. I give myself this quiet time and it is returned to me through out the day. I love this, Alice! Wonderful.